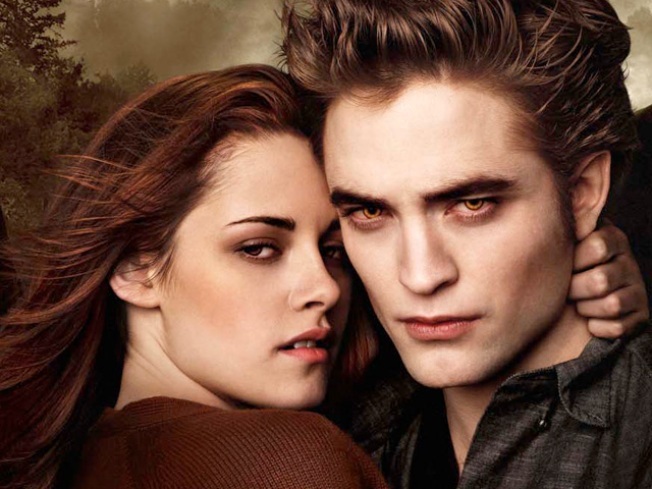 The latest "Twilight" film opens with the third largest domestic debut. It was a good weekend for "Team Jacob" and "Team Edward." The vampire romance "The Twilight Saga: New Moon" sucked up $140.7 million in its first three days and pulled in a total of $258.8 million worldwide, according to studio estimates Sunday. The No. 1 domestic debut for Summit Entertainment's "New Moon" was more than twice the $69.6 million haul over the same weekend last year for "Twilight," the first in the franchise based on Stephenie Meyer's novels. "Obviously, with the success of 'Twilight' itself, sequels being what they are will generate X-number of dollars more, particularly if it's a satisfying sequel," said Richie Fay, head of distribution for Summit. "New Moon" placed third on the all-time domestic chart behind last year's $158.4 million opening weekend for the Batman blockbuster "The Dark Knight" and 2007's $151.1 million haul for "Spider-Man 3." Among the top-10 all-time openings, "New Moon" is the only one that came outside of Hollywood's busiest time, the summer season. The movie adaptation of Meyer's next "Twilight" chapter, "Eclipse," arrives in the heart of summer, next June 30. On Friday, "New Moon" set an all-time domestic high for opening day with $72.7 million, topping the previous record of $67.2 million by last year's "The Dark Knight. Overall, Hollywood had its second-biggest non-holiday weekend ever, with final numbers expected to come in slightly behind the $260 million the industry rang up over the weekend of July 18, 2008, when "The Dark Knight" opened. Compared to the same weekend last year, business was up 59 percent. Overseas, "New Moon" debuted in 25 countries and took in $118.1 million. "New Moon" continues the story of teen romance between a school girl and a vampire (Kristen Stewart and Robert Pattinson), with the sequel adding a love triangle with a werewolf (Taylor Lautner). Meyer's books have been a phenomenon among women and girls. Females made up 80 percent of the audience for "New Moon." Opening at No. 2 domestically this weekend was the Warner Bros. football drama "The Blind Side" with $34.5 million. The film stars Sandra Bullock in the real-life story of Baltimore Ravens tackle Michael Oher, who was a homeless teen taken in by a wealthy family and enrolled in private school. As with "New Moon," females were the big fans of "The Blind Side," accounting for 59 percent of the audience, an unusual split for a movie with a sports theme. "Football happens to be a part of the story, but it's really more about family and inspiration," said Dan Fellman, Warner Bros. head of distribution. Young males are the backbone of Hollywood business, so "to have two movies with huge appeal for women result in the second-biggest non-holiday weekend ever is amazing," said Paul Dergarabedian, box-office analyst for Hollywood.com. The "Twilight" franchise "taps into something primal and visceral that drives women crazy, and they're willing to pay for the privilege," Dergarabedian said. The previous weekend's top movie, Sony's disaster tale "2012," slipped to third-place with $26.5 million, raising its domestic total to $108.2 million. Worldwide, "2012" has taken in $449.8 million. Sony also had the No. 4 entry with a $12.6 million debut for its animated adventure "Planet 51," about a NASA astronaut (voiced by Dwayne Johnson) who lands on a planet of aliens living the innocent life of 1950s America. Lionsgate's acclaimed drama "Precious: Based on the Novel 'Push' by Sapphire" expanded from limited to fairly wide release of 629 theaters, taking in $11 million for an average of $17,500 a cinema. That compared to an average of $34,965 in 4,024 theaters for "New Moon." In limited release, Penelope Cruz and director Pedro Almodovar's latest collaboration, "Broken Embraces," opened big with $107,597 in two theaters for a $53,799 average. The Sony Pictures Classics romantic drama centers on a blind screenwriter relating the story of a lost love. Nicolas Cage and director Werner Herzog's dark crime thriller "Bad Lieutenant: Port of Call New Orleans" opened with $257,267 in 27 theaters, averaging $9,528 a cinema. Released by First Run, "Bad Lieutenant" is the story of a drug-crazed cop on a manic murder investigation. The huge spike in business this weekend sets the stage for big crowds over Thanksgiving, one of the busiest periods of the year at theaters. Along with "New Moon" and other holdover movies such as Jim Carrey's holiday-themed "A Christmas Carol," new releases for Thanksgiving include the Robin Williams-John Travolta comedy "Old Dogs" and the post-apocalypse drama "The Road." After a strong run in limited release, George Clooney's animated comedy "Fantastic Mr. Fox" expands into nationwide release the day before Thanksgiving. Estimated ticket sales for Friday through Sunday at U.S. and Canadian theaters, according to Hollywood.com. Final figures will be released Monday. 1. "The Twilight Saga: New Moon," $140.7 million. 2. "The Blind Side," $34.5 million. 4. "Planet 51," $12.6 million. 5. "Disney's A Christmas Carol," $12.2 million. 6. "Precious: Based on the Novel 'Push' by Sapphire," $11 million. 7. "The Men Who Stare at Goats," $2.8 million. 8. "Couples Retreat," $2 million. 9. "The Fourth Kind," $1.7 million. 10. "Law Abiding Citizen," $1.6 million.